It’s been some time now since I updated you guys regarding my experience with permanent hair removal. I honestly, didn’t have the time to do it because I had some medical problems and couldn’t keep up with my laser treatment. I am already thinking if I want the new Tria Precision as a gift from my husband for this Christmas. I’ve read so many good reviews and I am thinking of getting it. For those who haven’t read all my reviews and posts, ( I know they are quite long, and I’m sorry) I have tried so far : Silk’n Flash&Go, Remington 6000 I-Light and Tria 4x. I don’t know if I used them all as it is supposed to be used but I am very happy with the results so far. To be honest, I think I got all these amazing results because I used them combined. I first started with the Silk’n Flash&Go, which did its job until I finished all its cartridges. Then, instead of buying more cartridges, I decided to get the Remington i-Light Pro Plus for more power and coverage. This second device was perfect for my skin and hair type. It did the job quite well on most of my hairy parts. But on body parts where I couldn’t see much difference after using and using the Remington ( because this will happen) I used The Tria 4X. You will notice on some parts of your body, the hair will not disappear so easily. I am not sure why exactly, but in my case, when I used a different device, it worked. 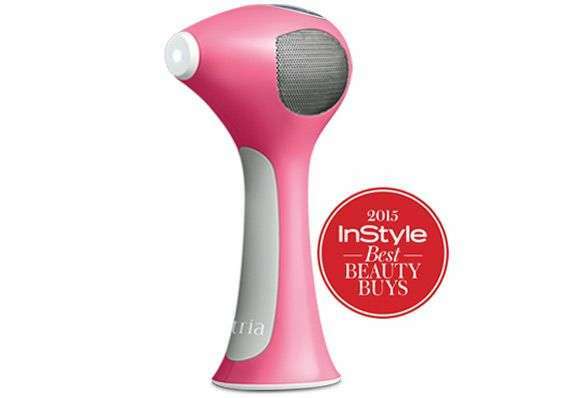 In this case, it is a different technology as well, as Remington uses IPL technology and Tria 4x uses laser technology. You can read about these two different technologies on my website and hope you see the difference. In the end, what I can say is that all these devices worth a try because it will help you remove your hair for a long period of time. They all do their job but not 100% as most of you will expect. At some point, you will have to upgrade or change your device in order to get a permanent hair removal. I was lucky to have the chance to try all of them and to get amazing results. I’ve heard lots of reviews, positive and negative, and I am happy I am one of the people who got great results with these devices. I guess, in my case, I got these good results because I was able to combine IPL with laser technology on my hair. It might seem expensive to get two devices but I am sure it is still a better option for you to buy these machines than to go to a laser clinic. I think, in the long run, it’s more cheaper and more convenient. Especially if you have a sister or a husband who also wants to get rid of the unwanted hair for longer periods of time. Then it’s a win-win situation for the both of you, as it was for me.